Erin graduated from Nottingham University in 2015. She started her career working in a busy small animal practice in Newbury for two years. 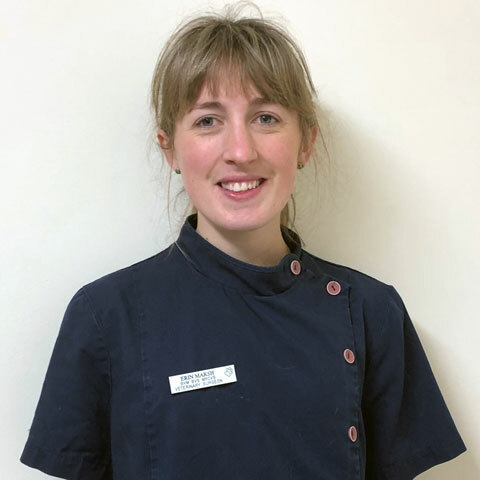 Following a move to Reading, Erin joined the team here at Tilehurst Veterinary Centre. She has a particular interest in medicine and is currently working towards a certificate in advanced veterinary practice. In her spare time, Erin enjoys walking her Jack Russell called Lily and riding her horse, Benji.